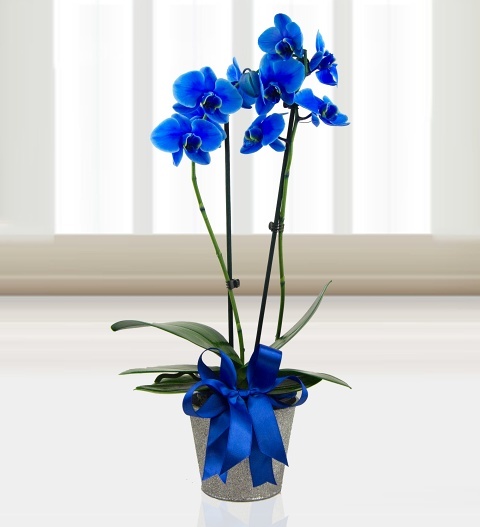 We have taken the beauty of this phalaenopsis orchid to the next level by adjusting the colour. The undeniable elegance of this plant along with the striking sapphire blue colour makes it even more spectacular. Presented in a zinc pot with a decorative ribbon, this gift will make any recipient feel pampered and special! This unusual colour is accomplished with floristry dye that the orchid has drunk. Chocolates may contain nuts.